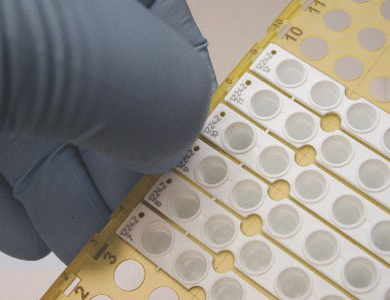 The importance of disposables for a (q)PCR reaction is often underestimated. 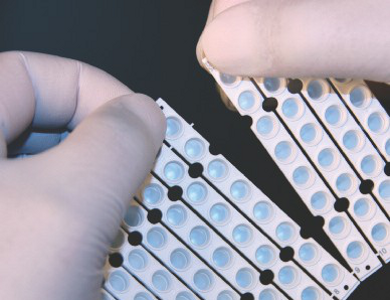 Money spent on kits, polymerases, primers, dyes, the optimization of reaction components and (q)PCR cycler calibration should be supported by superior BIOplastics (q)PCR tubes, strips and plates instead of the often used less qualified or even inferior products. Keywords here are: Reproducible and trustworthy results. 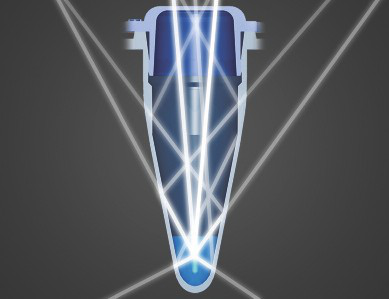 Enjoy the benefits and ease of use of superior quality (q)PCR vessels which all have the same raw material product compositions. 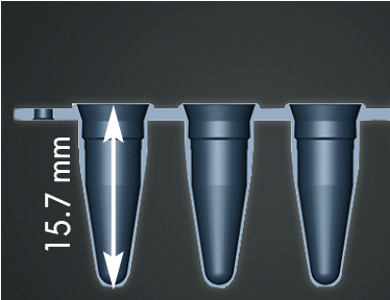 Combine this with the extreme uniform wall thickness of the products and you actually have standardized and automatically improved the reproducibility of your results by excluding variables in uniformity and material composition. 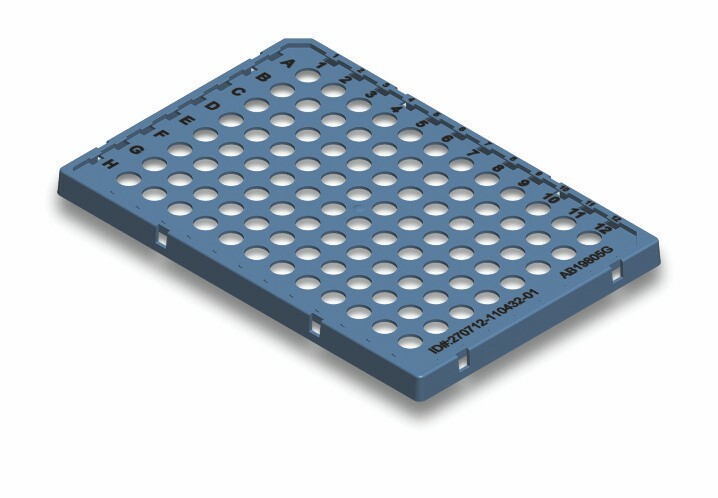 Position single attachable cap-strip in Tube Support Grid Wide (B69360, B69351). 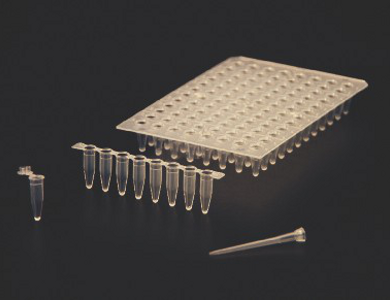 Slide 8-tube-strip into the cap holes. 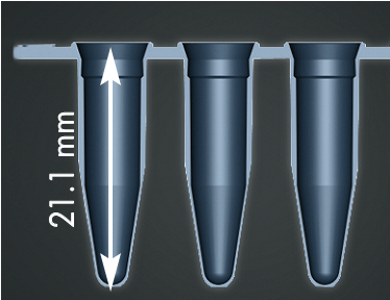 Apply reaction component in the wells, individually close the tubes and position in the cycler. 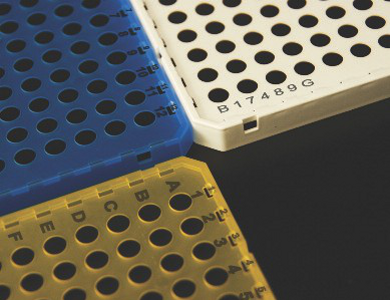 With a wide variety of (q)PCR cyclers on the market today, the type of disposables a cycler accepts, and additional requirements form customers, it can be difficult to accommodate these demands. 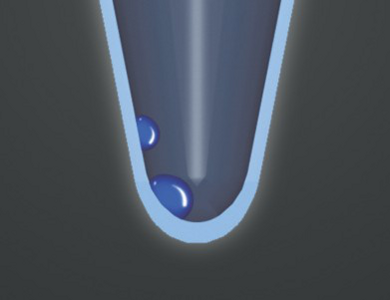 BIOplastics offers solutions. 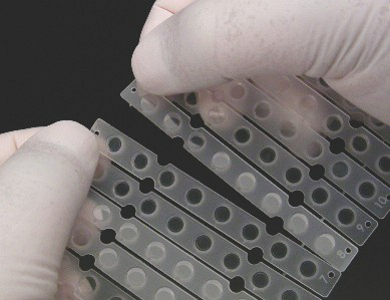 For example: if a cycler only accepts plates and you do not like to work with plates then opt for one of the BIOplastics adaptor solutions which enables the use of single tubes and strips in cyclers which normally only accept plates. Non Skirted. These types of plates have the widest application range and can be easily cut. They fit most cyclers. Left is Low Profile, right is Regular Profile. Semi skirted. These types of plates have a semi skirt. 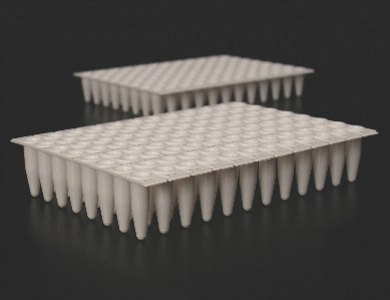 Can be used in robotic applications and the skirt gives extra stability. Some BIOplastics models can also be cut. Fits most cyclers but not as many as skirted plates. Left is Low Profile, right is Regular Profile. 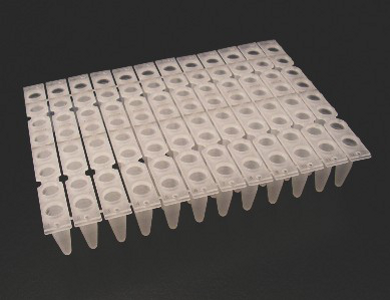 BIOplastics manufactures and offers the widest range (q)PCR disposables for ALL BRANDS of PCR and qPCR cyclers. 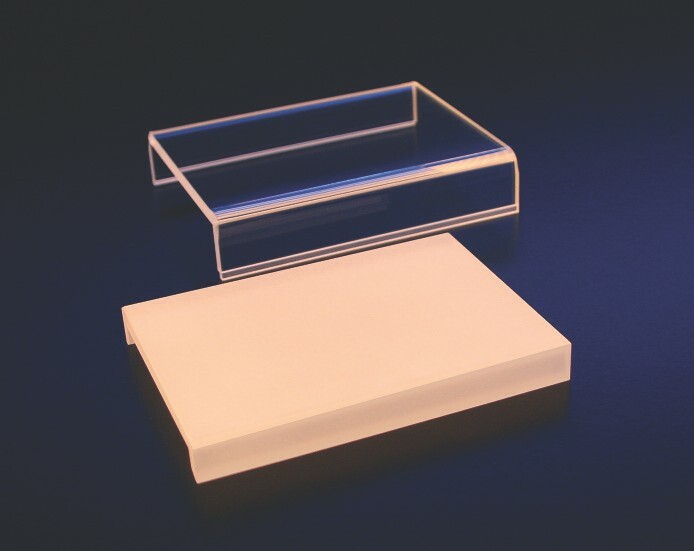 Some plates, strips and tubes are designed for specific cyclers whereas a number of products are smartly designed to allow full interchangeability between products and cyclers. 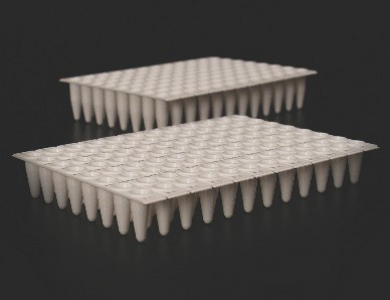 One of our latest innovative developments is the Shell Frame Grid. 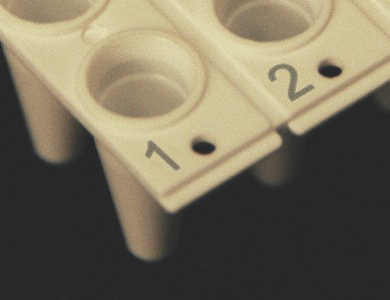 Shell Frame Grids enables the use of “two products only” for all your PCR and qPCR reactions, regardless model and brand of your thermal cycler. 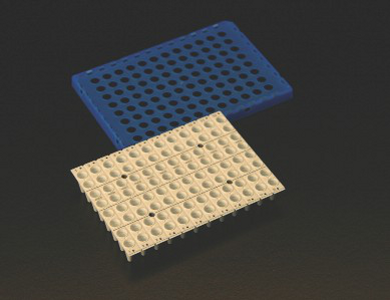 Shell Frame Grids can be seen as the skirted version of a plate, however without any tubes. 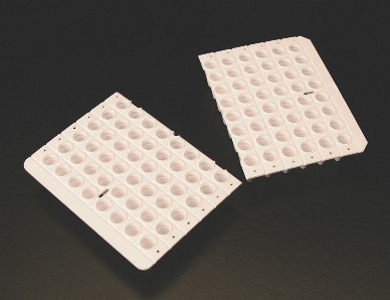 Shell Frame Grids are available in PP disposable format next to a durable and re-useable HPL format. 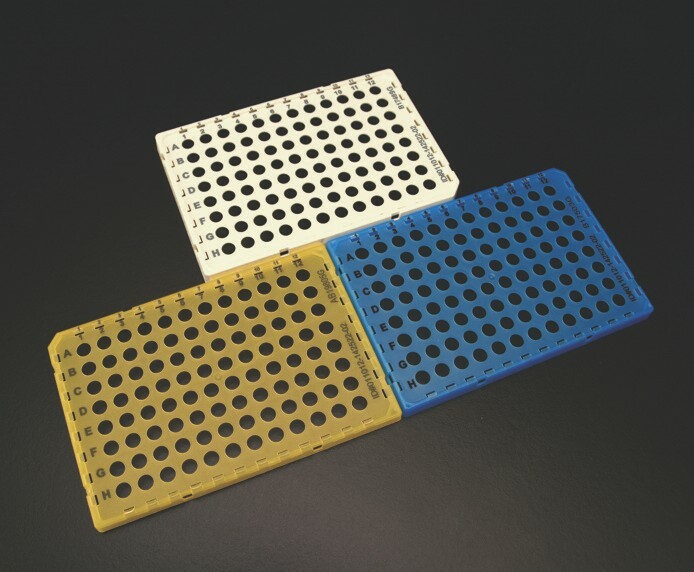 A selected number of cut-able plates, Tear Off 8-Tube Strip Mats, 8-tube strips, 8-tubes strips with attached caps and single tubes, all “Shell Frame Grid compatible”, can be “clicked” into the Shell Frame Grid and enables creating your own format. 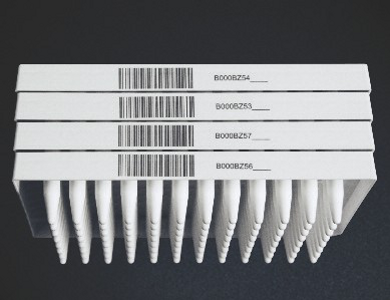 Depending on your requirements just “click in” the required amount of tube strips, partition of plates or just a whole plate. 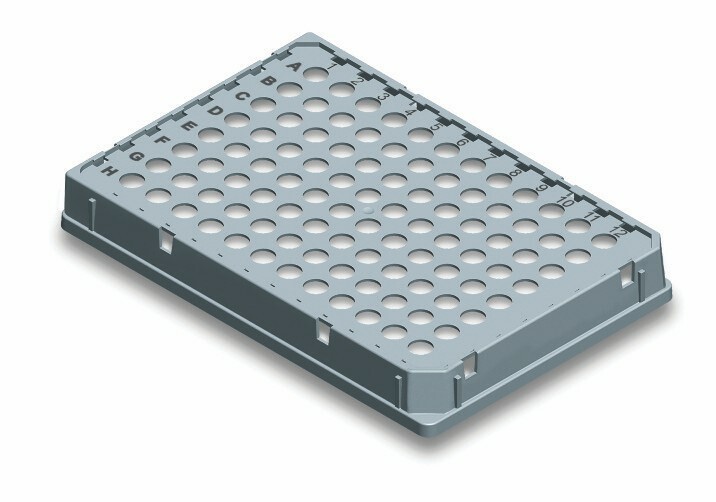 Any assembly can easily be disassembled, and the same partition can be transfered into a different model Shell Frame Grid. There are three types of grids available. 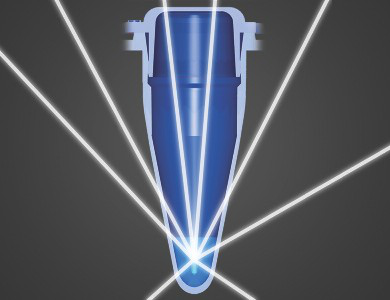 One to fit, but not limited to, Roche LightCycler® 480 systems, One for ABI, Life Technologies® Fast and Bio-Rad® cyclers and one for ABI, Life Technologies® Non fast, Eppendorf® cyclers and any other cycler brands. Shell Frame Grids differ in their optimized rims settings which, enables the fit to specific cycler models. 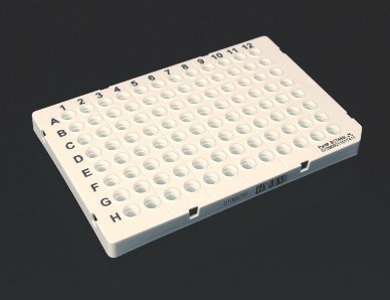 Your advantage: select the tube/plate format of your preference e.g. 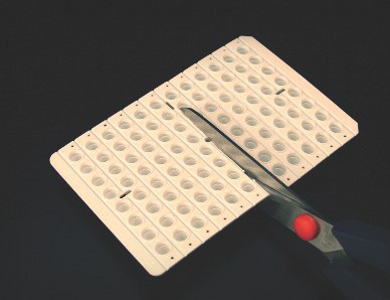 Tear Off 8-Tube Strip Mat , tear off required amounts of strips, pipette reagents, decide which thermal cycler you are going to use, e.g. 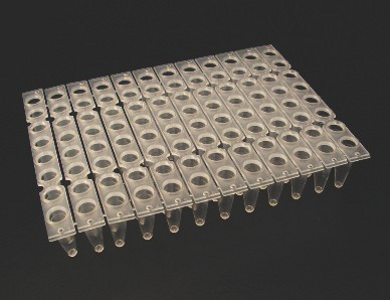 LightCycler® 480 system, “Click in” the Tear Off 8-Tube-Strips in Shell Frame Grid (Roche type) and run your (q)PCR. 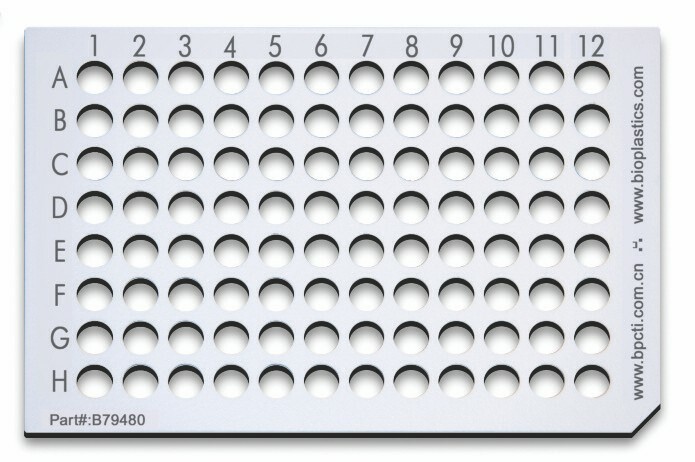 If you however decide to use your 7500 Fast Cycler instead, “click out’ your samples from the Shell Frame Grid (Roche type) and “click them in” the Shell Frame Grid (ABI fast type) and run you samples in your 7500 Fast cycler. 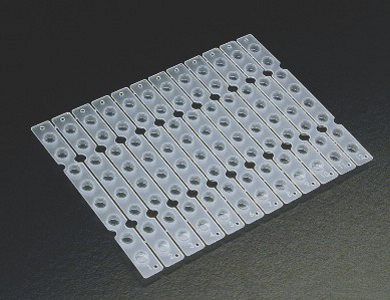 So basically one plate or Tear Off 8-Tube Strip Mat product can be used in all cycler models. 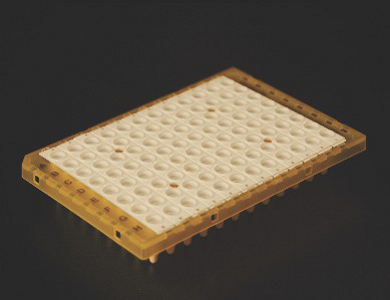 Although fSFG (fit Shell Frame Grids) products such as tube strips, tear off tube strip mats and plates can be easily placed in Shell Frame Grids, you also may opt for using the One step (Dis)-Assembling / Toolkit for Shell Frame Grids (SFG). 1 basic non-skirted grid (all cyclers): B69304 (Green). The user manual can be found on pages 140 through 142. 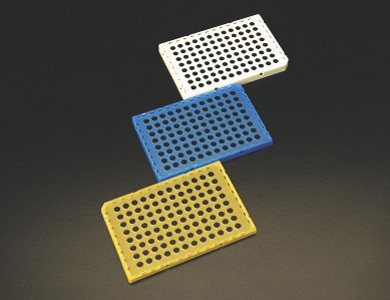 Instructions for assembling and disassembling Tube Strip Mats, parts of Tube Strip Mats and designated 8-Tube Strips in Shell Frame Grids see page 140. Instead of the disposable Shell Frame Grids you may opt using a permanent solution by selecting specific, non disposable and durable Shell Frame Grids and EU adaptors, which accepts all type of Shell Frame Grid compatible “click in” disposables. 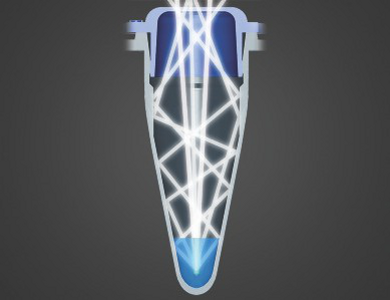 Shell Frame Grids features a “click-in” option whereas EU Adaptors are lacking this feature. 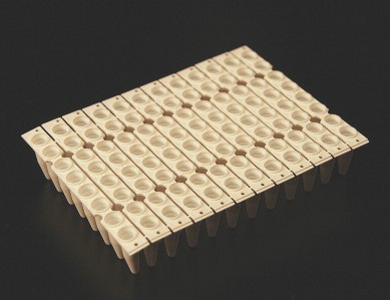 Durable Shell Frame Grids and EU adaptors are robust, stiff, reusable and made of durable HPL.